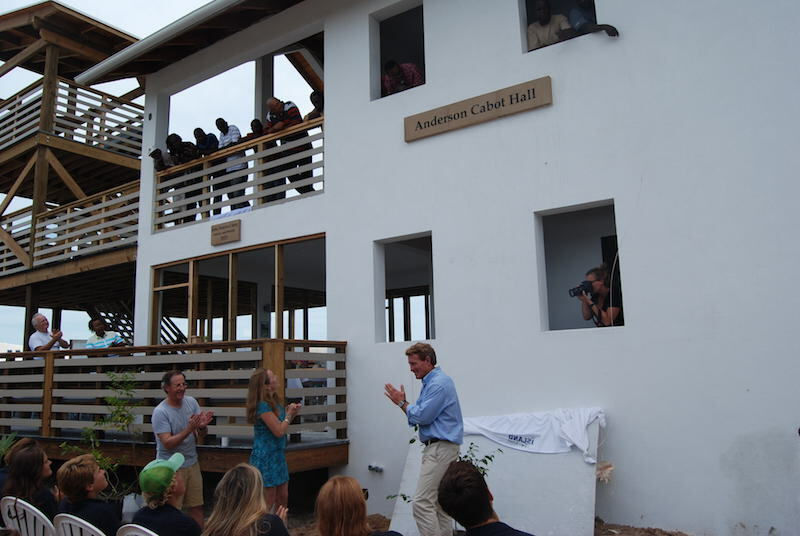 On Friday June 5th, Cape Eleuthera Institute (CEI) hosted a ribbon cutting on their newest building, Anderson-Cabot Hall for Graduate Studies. 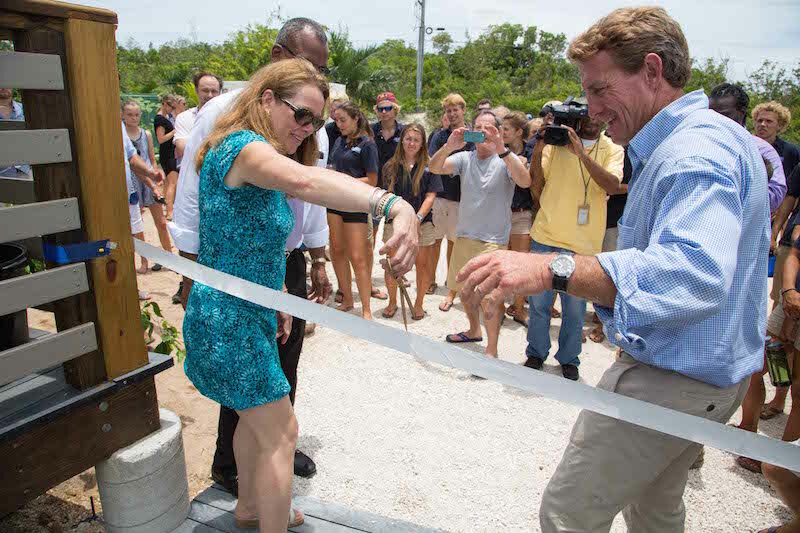 The grand opening was held during the SEA Change Youth Summit hosted by The Island School in partnership with 5Gyres and Jack Johnson. Government officials, staff, students, and school supporters gathered to celebrate with an official ribbon cutting ceremony which featured speakers involved in the building’s creation, as well as its future. 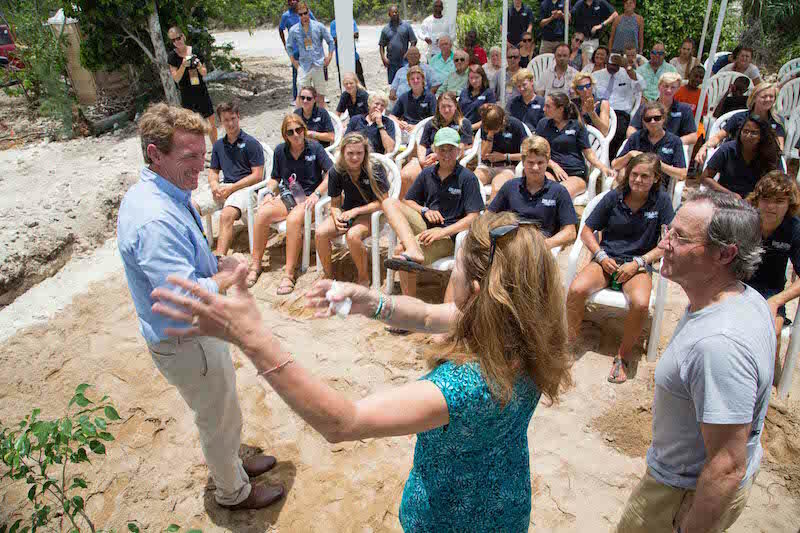 Chris Maxey, co-founder of The Island School, began the event by celebrating the growth of the organization and introduced Aaron Shultz, Director of Cape Eleuthera Institute. In attendance was long-time supporter of the Cape Eleuthera Island School, John Dunagan, who dedicated the building to John “Giant” Norris Carey, builder and mentor. Ed Anderson and Linda Cabot, the primary financial contributors and for whom the building is named after, were present to cut the ribbon on the building and spoke to honor its opening. The opening concluded with remarks from Minister of Education, the Honorable Jermone Fizgerald and a luncheon honoring special guests, as well as the Carey Construction crew who built the Hall.